He looks a bit like Derek Walcott. He has the same white hair, the same moustache, the same face cut as the Nobel-Prize winning Caribbean poet who died in March. 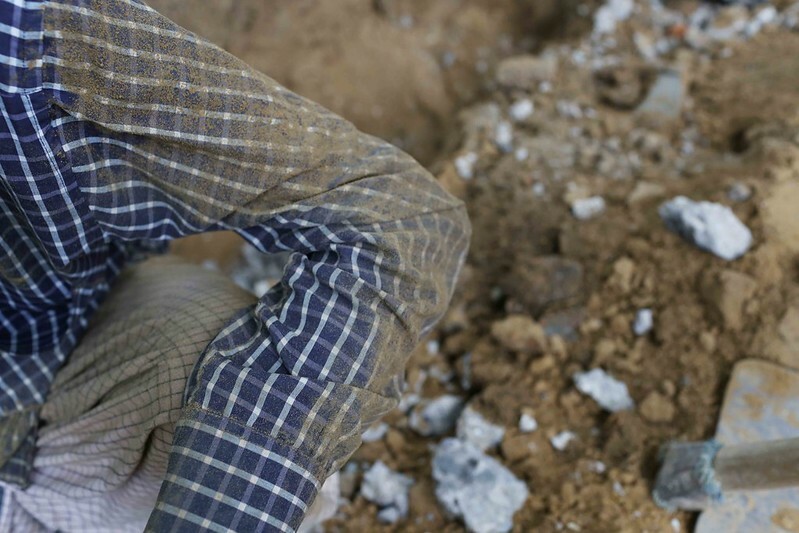 But this man is holding a shovel instead of a pen. The Delhi Walla meets him one afternoon in South Delhi’s Munirka. 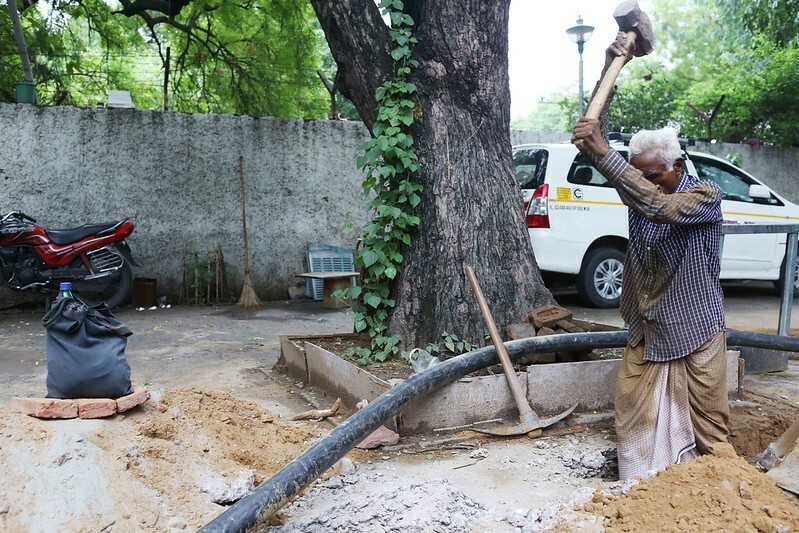 He is digging the pavement for underground cables to be installed. 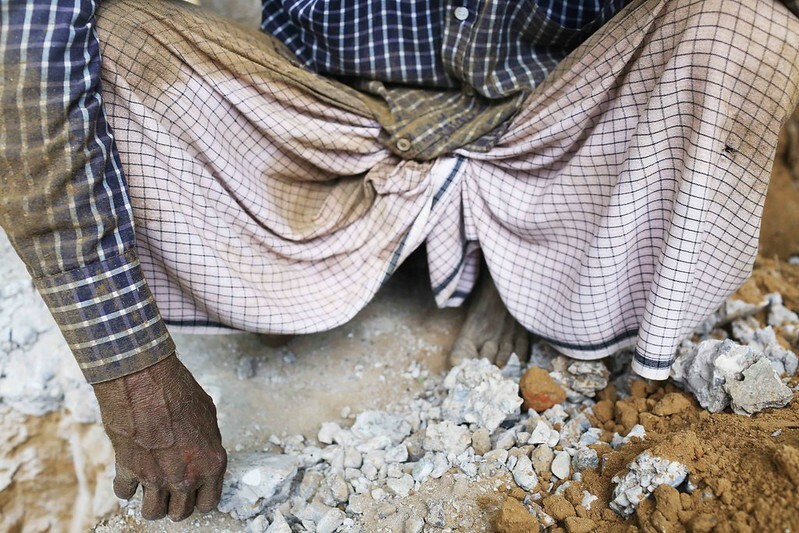 Meer Chand’s blue check shirt and grey lungi are covered in brown mud. 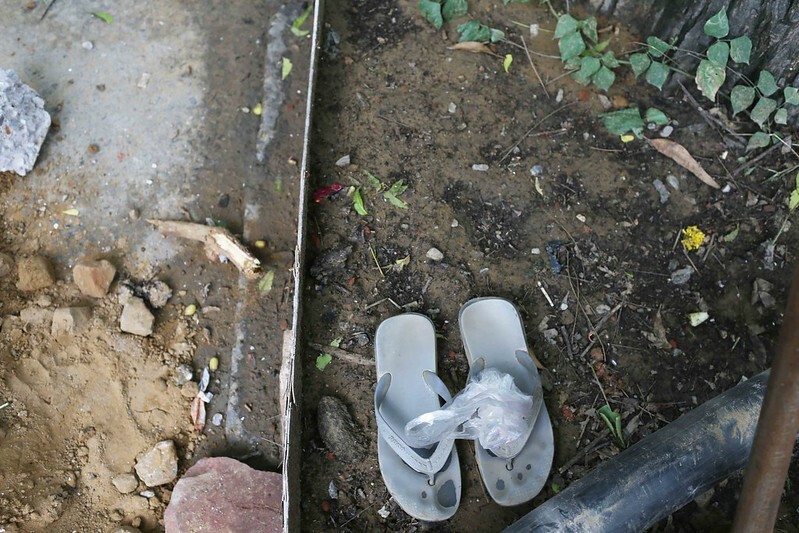 He is barefoot; his chappals are placed under a tree. His lunch bag is on top of a mound of earth. “I’m 60 or 62… I’m not sure,” he tells me, when I ask his age. 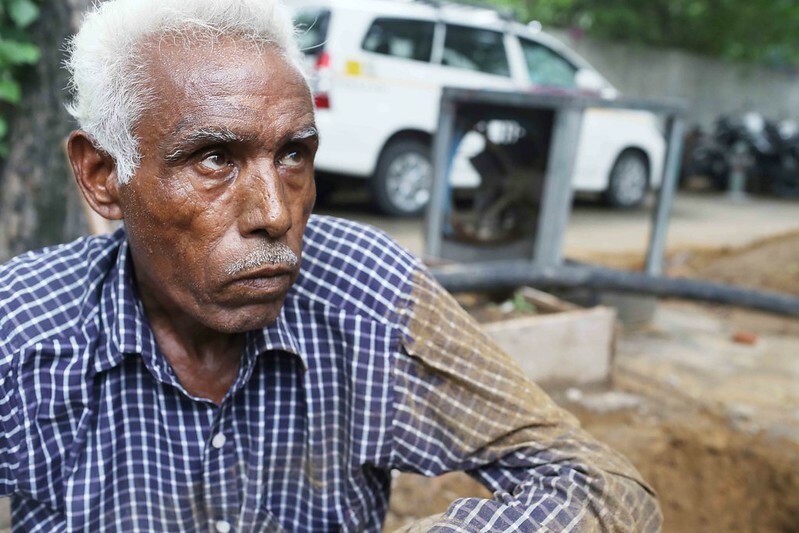 Many men of Mr Chand’s age prefer to enjoy retirement. He looks amused at the idea, saying he can’t imagine himself sitting idle at home. He says he married late. His wife, Shanti Devi, is in her 60s too. 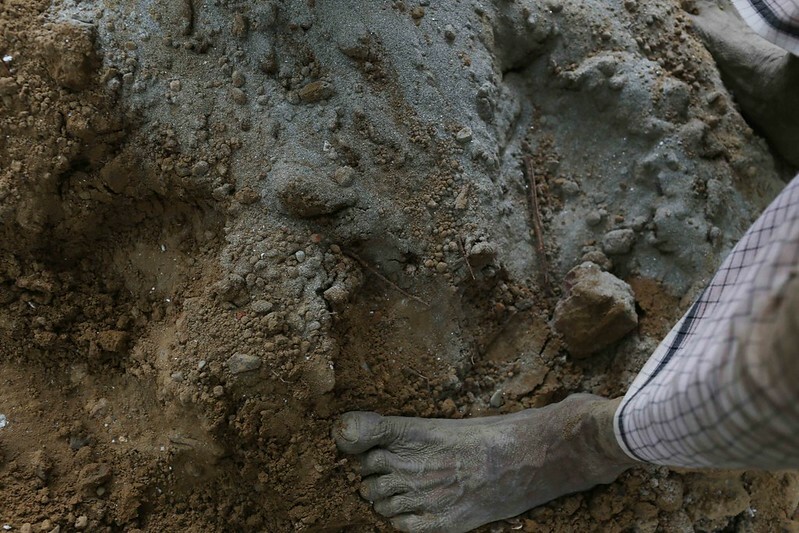 She stays in their one-room home in a village near Bhatti Mines, on the southern edges of Delhi. “My workplace is the entire city,” he says. 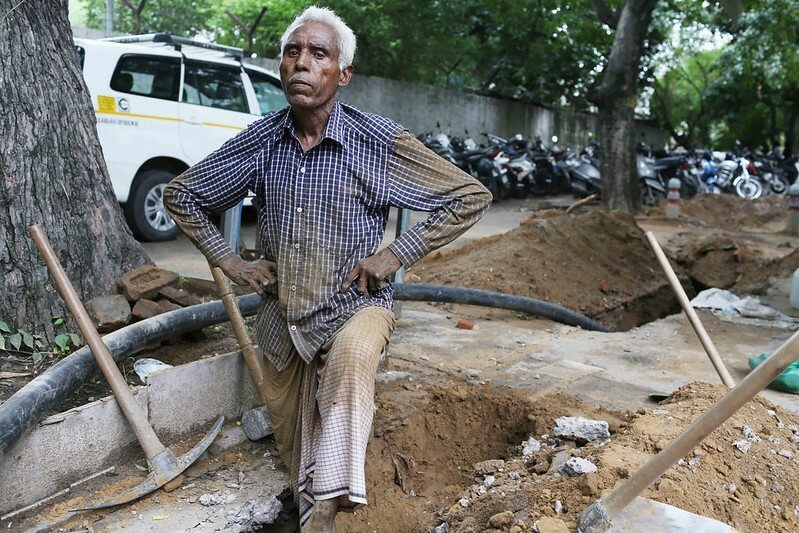 Contractors land in his village every day to transport labourers to wherever work can be found in the city. By now, Mr Chand is sweating profusely. He keeps down the shovel and opens his lunch box. 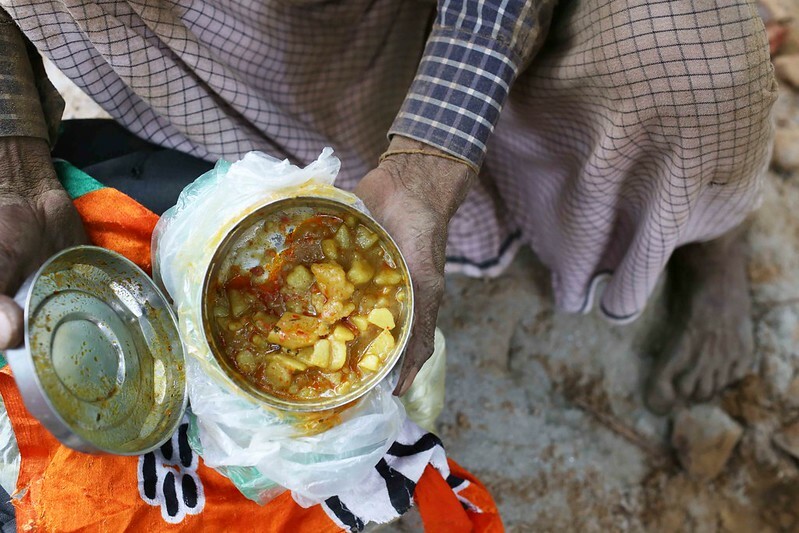 It’s aloo tamatar. His wife made it in the morning. Just then it starts to rain. He quickly packs up his things and takes shelter under a tree. 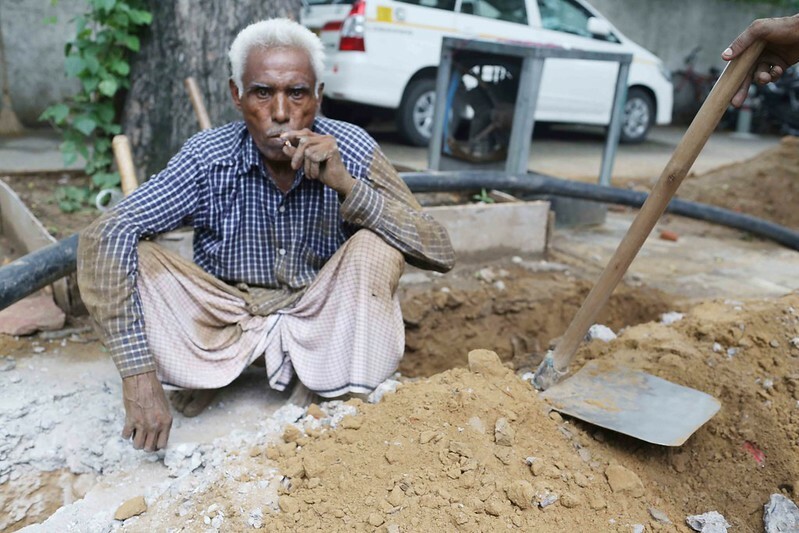 As the downpour shows no sign of slowing, he takes out a beedi and starts to smoke. The home-cooked meal lies forgotten.